YESS!!! FINALLY ANOTHER WATERPARKS SONG TABBED!!! 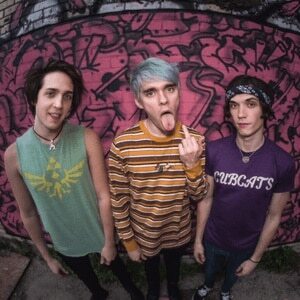 Waterparks is an American pop punk band formed in Houston, Texas in 2011. The group currently consists of lead vocalist and guitarist Awsten Knight, backing vocalist and guitarist Geoff Wigington, and drummer Otto Wood. The band has released three EPs, two of which were released independently with one released via Equal Vision. The group released its first full-length album, Double Dare, on November 4, 2016 via Equal Vision. On November 6, 2015, the band signed with Equal Vision Records.